You can’t be well-informed about the media and journalism if you don’t pay attention to the stellar work of CNN senior media correspondent Brian Stelter. Through his must-watch Sunday morning show, Reliable Sources, which examines the week’s top media stories, and his must-read Reliable Sources newsletter, Stelter’s media literacy work shines light on real news amid the cacophony of noise and nonsense of a presidency that seeks to demonize journalists and spreads accusations of fake news. 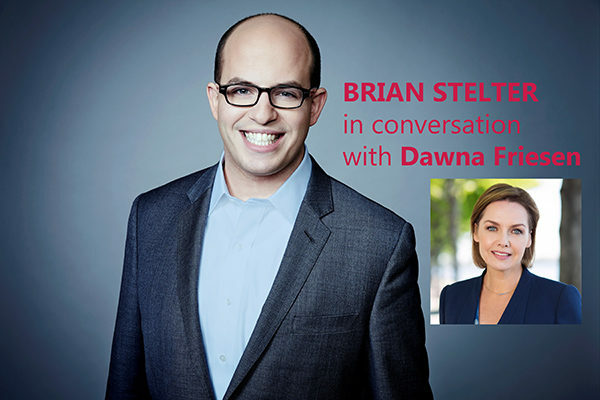 Stelter will be in conversation with Dawna Friesen, anchor of Global National.